Please read these terms and conditions carefully before using the Bounty Portrait Ordering Service. By placing an order you agree to be bound by the following terms and conditions. 1.1 What these terms cover and why you should read them. These are the terms and conditions for the supply of products to you from Bounty Portrait. These terms tell you who we are, how to contact us, how we will provide the products to you, how you and we may change or end the contract, what to do if there is a problem and other important information. 2.1 Who we are. Bounty Portrait is a trading style of Bounty UK Limited. Bounty’s company registration number is 631367 and our registered office is at 29 Broadwater Road, Welwyn Garden City, Hertfordshire AL7 3BQ. Our registered VAT number is GB638042741. 2.2 How to contact us. You can contact us by telephoning our Customer Service team at 03458 300 300 or e-mailing us at bountyportrait@bounty.com. 3.1 How we will accept your order. Our acceptance of your order will take place immediately before we dispatch it to you, at which point a contract will come into existence between you and us. Orders will not be dispatched until payment is received in full. 3.2 Orders placed may be cancelled or amended within 24 hours of being placed, by contacting our Customer Service team on 03458 300 300. Digital products may be available before this time, and cannot be cancelled once downloaded. 3.3 If we cannot accept your order. If we are unable to accept your order, we will contact you and will not charge you for the product. This might be because the product is out of stock, or because of other factors which we could not reasonably plan for, or because we have identified an error in the price or description of the product. 3.4 Your order number. We will assign an order number to your order and this can be found on your dispatch confirmation e-mail. 3.5 Your Portrait Security Number (PSN). The Portrait Security Number (PSN) you are given is personal to you. Keep it secure and only share it with people whom you consent to viewing and purchasing an image of your baby. Bounty shall not be liable for any breach in the security of your PSN. Please use this number in correspondence regarding your order. 3.6 We only sell to the UK. Our website is solely for the promotion of our products in the UK. Unfortunately, we do not deliver to addresses outside the UK. We only supply the products for domestic and private use. If you use the products for any commercial, business or re-sale purpose we will have no liability to you for any loss of profit, loss of business, business interruption, or loss of business opportunity. 3.7 We will keep a copy of our contract with you on our records and will supply you with a copy on written request to our postal address. If ordering online, we will confirm acceptance of your order by email. Orders will be dispatched within 14 days of receipt of full payment. Bounty will not accept liability for delayed dispatch due to circumstances beyond its control. 3.8 Special offers. In order to be eligible to purchase items from our Additional Products range, you must first purchase one of our Digital or Print Collections or Wall Décor. In order to be eligible for half price offers you must first purchase a full price Digital or Print Collection. You may then purchase additional Print Collections of the same value (or less) for half price. 4.1 Products may vary slightly from their pictures. The images of the products on our website are for illustrative purposes only. Although we have made every effort to display the colours accurately, we cannot guarantee that a device's display of the colours accurately reflects the colour of the products. Your product may vary slightly from those images. In addition certain items may vary in colour from batch to batch. 4.2 If we withdraw a product. We will contact you and may offer a suitable alternative. If you do not wish to accept an alternative we will refund any sums you have paid in advance for products which will not be provided. 4.4 Measurements given on any description are approximate and wallet-sized photographs are provided in sheet format ready to cut. Keyrings are double-sided, and come ready-assembled. 4.5 Products are supplied by Bounty (UK) Limited. 5.1 All images are the copyright of Bounty (UK) Limited and may not be copied or reproduced without express permission, unless Digital Images are purchased, whereupon the copyright of all of the images is also released. (b) to implement minor technical adjustments and improvements, for example to make a design improvement. These changes will not affect your use of the product. 7.1 Delivery costs. The costs of delivery will be as displayed to you at point of checkout on our website, or on your receipt card if ordering in hospital. Postage is by second class post. Postage and packing charges are non-refundable. 7.2 When we will provide the products. We will deliver your items to you as soon as reasonably possible and usually within 14 days after the day on which you pay in full for your order. Digital products will usually be available to download within 2-3 working days. If you have not received your order within 14 days of paying for your order, please call our Customer Services team on 03458 300 300 or email them at bountyportrait@bounty.com. We may have to suspend the supply of a product due to reasons such as technical problems or to make minor technical changes or to update the product to reflect changes in relevant laws and regulatory requirements. 7.3 We are not responsible for delays outside of our control. If our supply of the products is delayed by an event outside of our control then we will contact you as soon as possible to let you know, and we will take steps to minimise the effect of the delay. Provided we do this we will not be liable for delays caused by the event, but if there is a risk of substantial delay you may contact us to end the contract and receive a refund for any products you have paid for but not received. 7.4 If you are not at home when the order is delivered. If no one is available at your address to take delivery and the order cannot be posted through your letterbox, you will have to rearrange delivery or collect the products from a local depot. Bounty will not be held responsible for delays caused by missed deliveries. 7.5 If you do not re-arrange delivery. If you do not collect the products after a failed delivery, and you do not re-arrange delivery or collect them from a delivery depot, they will be returned to us as ‘Undelivered’. If, despite our reasonable efforts, we are unable to contact you to re-arrange delivery we may end the contract and clause 8.1 will apply. We reserve the right to charge for any further delivery. 7.6 When you become responsible for the goods. The goods will be your responsibility from the time we deliver (or attempt to deliver) the product to the address you gave us. 8.1 In respect of the Consumer Contracts Regulations 2013, you do not have a right to change your mind in respect of items which were personalised to your order. All image-based products are deemed personalised and are not subject to the right to change your mind under the Consumer Contracts Regulations 2013. Bounty will only accept items returned for a full refund if there is a quality issue. (a) Phone or email. Call our Customer Services team on 03458 300 300 or email us at bountyportrait@bounty.com. Please provide your name, PSN, postcode and, where available, your phone number and email address. 9.2 Returning products after ending the contract. When the portrait is taken by the Bounty photographer, you choose the portrait you would like printed. When you receive your order, if you are not satisfied with the image that was chosen, we are unable to offer any form of refund, as the portraits are made to order. As detailed in clause 8 above, due to the personalised nature of the products, Bounty is unable to offer refunds unless there is a quality issue with the image/s. In the event that this occurs, please contact our Customer Service team on 03458 300 300 quoting your name, PSN and postcode. If the portraits or products are of unsatisfactory quality you may be asked to provide photographic evidence to us. If there is a quality issue, we will see if the portrait can be improved and we will replace your portraits. 10.1 How to tell us about problems. If you have any questions or complaints about the product, please contact us. You can telephone our customer service team at 03458 300 300 or write to us at bountyportrait@bounty.com. 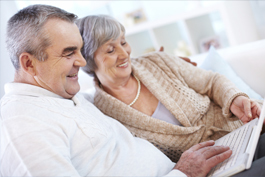 For a summary of your key legal rights please visit the Citizens Advice website www.adviceguide.org.uk or call 03454 04 05 06. 11.1 Where to find the price for the product. The price of the product (which includes VAT where applicable) will be the price indicated on the receipt card (for orders placed in hospital) or on the product pages for orders placed online. 11.3 When you must pay and how you must pay. We accept payment by major debit and credit cards, via Paypal (for online orders only), and by cash (in hospital only). Please do not send cash through the post. You must pay for the products before we dispatch them. We will not dispatch the products to you until we have received payment. 11.4 What to do if you think a price is wrong. If you think the price you were charged is wrong please contact us within 48 hours to let us know. We will review the order and either agree or disagree. If we agree we will refund the difference. If we disagree you may cancel the order. We reserve the right not to sell any product that has been listed at an incorrect price. 12.1 We do not exclude or limit in any way our liability to you where it would be unlawful to do so. This includes liability for death or personal injury caused by our negligence or the negligence of our employees, agents or subcontractors; for fraud or fraudulent misrepresentation; for breach of your legal rights in relation to the products as summarised at clause 10.2 and for defective products under the Consumer Protection Act 1987. (c) if you did not opt out, to give you information about similar products or services that we provide, but you may stop receiving this at any time by contacting us. 13.2 We will only give your personal information to third parties where the law either requires or allows us to do so or you have given us permission. 13.3 With effect from February 2017, Bounty will store the images of your baby on its systems for a period of 4 years, they will then be deleted. If you wish to have the images deleted before this time, please contact our Customer Services team on 03458 300 300. 13.4 We may store the images of your baby securely outside of the EEA. 14.2 We may transfer this agreement to someone else. We may transfer our rights and obligations under these terms to another organisation. If this happens we will ensure that the transfer will not affect your rights under the contract. If you are unhappy with the transfer you may contact us to end the contract we will refund you any payments you have made in advance for products not provided. 14.4 Nobody else has any rights under this contract This contract is between you and us. No other person shall have any rights to enforce any of its terms. Neither of us will need to get the agreement of any other person in order to end the contract or make any changes to these terms. 14.6 Even if we delay in enforcing this contract, we can still enforce it later. If we do not insist immediately that you do anything you are required to do under these terms, or if we delay in taking steps against you in respect of your breaking this contract, that will not mean that you do not have to do those things and it will not prevent us taking steps against you at a later date. 14.8 Bounty is a member of the Direct Marketing Association and adhere to its code of practice which can be found at www.dma.org.uk. 15.1 If you have had newborn portraits taken by the Bounty photographer in hospital you will be entitled to a free gift. 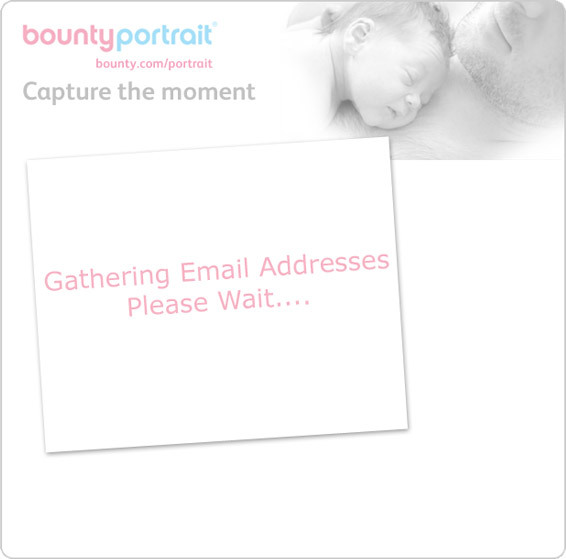 15.2 Free gifts are only available using newborn portraits taken by the Bounty photographer. 15.3 You may redeem your free gift in one of the following ways: a) in hospital; or b) via Bounty Customer Service team on 03458 300 300; or c) online at www.bounty.com/portrait by logging in using your Portrait Security Number (“PSN”). Some offers may not be redeemable online, please contact Bounty Customer Services if in doubt. 15.4 Free gift offers may be withdrawn at any time. 15.5 All other terms and conditions relating to orders (set out above) apply.